Want to truly experience the feeling of flight? What about getting out kiteboarding more often? Well then you should highly consider learning to hydrofoil. Hydrofoiling is the latest craze in kiteboarding world because of its feeling, positive perks, current world tour events and Olympic presence in the near future. Hydrofoils are basically super efficient and can go in much lighter winds than conventional equipment. 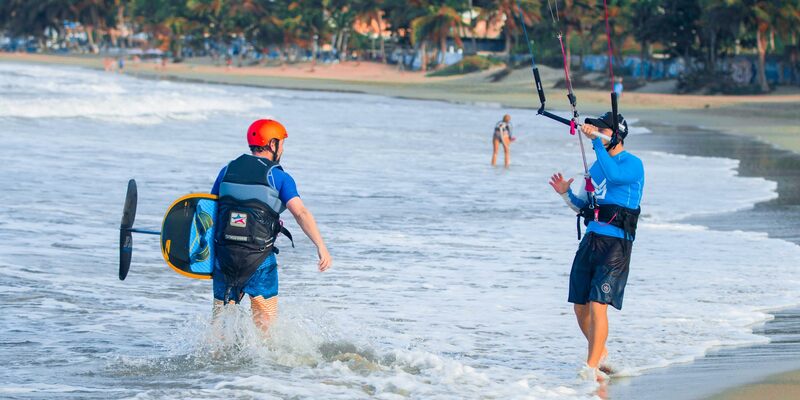 This makes kiteboarding more accessible throughout the year. A hydrofoils front wing acts like wings of a plane underwater which gives lift with minimal speed. Once you are in the air you are getting the feeling of flight. Foiling is not just for going fast and racing, it is being used for free riding, freestyle and in the waves. Hydrofoiling is not something we recommend learning on your own. It might appear easy when looking at someone else doing it, though there are many hours of training behind that. When planning to learn to hydrofoil make sure you are supplied an impact vest and helmet. In Cabarete we are now offering hydrofoiling lessons. Each hydro foiling lesson is taught according to the student’s needs. Hydro foiling can be very difficult and time-consuming to master on your own. Our lessons and methods provide the best way to learn, including, theory, tips, and safety steps. 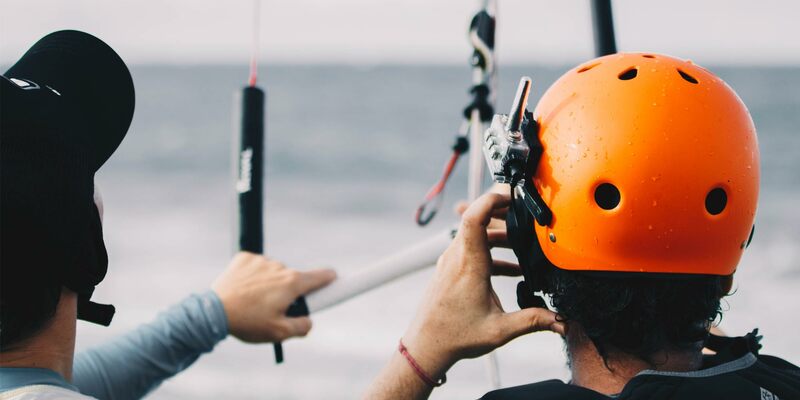 We show you the correct methods that will prevent many avoidable accidents, and make your foiling experience more enjoyable. If you are a novice or intermediate rider that wants to learn, refine and improve- send us a message and lets get training. *Note: All our advance lessons offer the option of using the BBtalk Intercom system for two way communication whilst on the water.